Throughout this novel we experience a breathtaking setting. Whether it was in Paris or Manhattan you’re bound to fall in love with the setting. Stephanie Perkins’ writing style flows fluently with perfection creating the ultimate romantic setting. I’m also glad that we get to travel back to Paris for this final installment, and that we get to see Manhattan as well. Isla: I loved her character and character development throughout this entire novel. I’m glad we got to see and enjoy the novel through her narration. I also loved the first few chapters as we get to see how big her crush on Josh actually is. Josh: Ah one of my favorite swoon worthy characters! I quite enjoyed his rebel side he had along with his artistic side. Josh made me develop a crush for him and made me want to fall in love with him. Kurt: Eh. Yes he was Isla best friend, but I really could have cared less for this character. At points in the story he would annoy me, but over all I tend to ignore him. Anna, St. Clair, Lola, and Cricket: I was pleased to see these characters return to the final installment. I’m always glad whenever I get to read about Anna and St. Clair. This is the type of swoon worthy love that you can’t help but fall in love with. The amount of fluffy loving feelings created in this novel is beyond words. 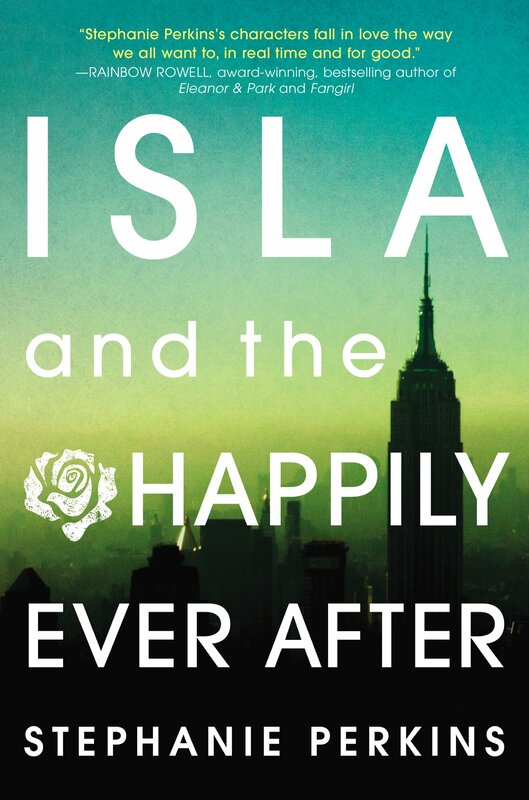 I enjoyed how Isla had her awkward crush at the beginning of the novel and that it blossomed into something beautiful at the end. I’m glad that Perkins’ created another guy character that makes me want to fall in love with them. And thanks to this setting everything was ten times more romantic and beautiful. With the novel being so loving and charming I had to give this a 5/5 star rating. I enjoyed every moment with all the characters, setting, and plot. Stephanie Perkins could not have concluded this novel/series any better. I recommend this novel to anyone who wants to blush constantly and someone who enjoys young adult romance!